Your trust is our obligation. We evaluate your collection free of charge and we buy both collections as well as individual pieces at competitive and fair prices. 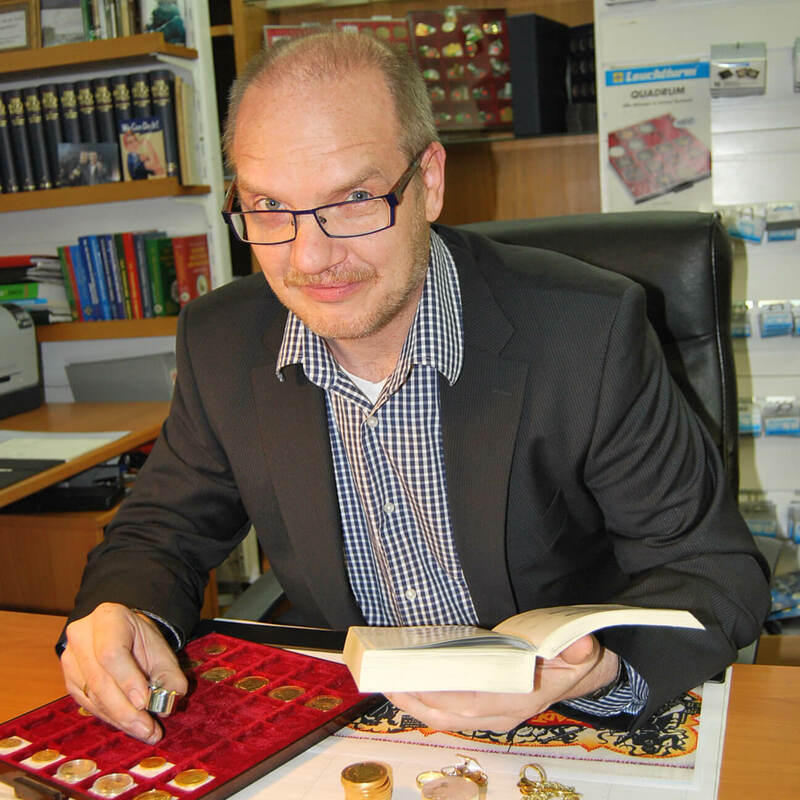 Whether it is coins, medals, bank notes, gold, other precious metals, militaria, post cards, old Bielefeld literature, we help you sell your collection at the best possible price. And we take the necessary time to do that. Bring your collection to our store. We will take the time to advise you in the sale. The first evaluation is free of charge. If your collection is too extensive or valuable for you to transport it to us, we will gladly come to your house upon a consultation by phone. It is also possible to meet in the context of a coin convention. We are personally present at all of the bigger German events. Have you decided to take advantage of our offerings? Then please contact us via email and schedule a consulting appointment. You can certainly also call us at +49 521 / 96 77 63. Our store is open Monday through Friday, 10:00 am – 1:00 pm and 2:30 pm – 6:30 pm. We are also open on Saturdays, 10:00 am – 1:00 pm.